Custom designed USB sticks allow businesses to get creative with their promotional USBs whilst enabling them to truly showcase their brand identity. 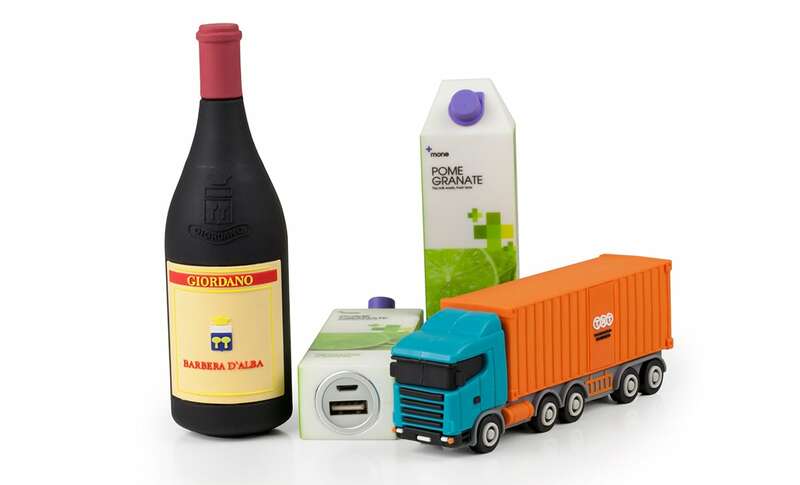 We can produce both 2D (flat) and 3D USB shapes out of soft PVC material (as standard). We'll even help you with the initial design if required. There are no limits on the colours you choose to use for your USB design. Pantone® matching is included as standard ensuring everything is truly on-brand. Custom designed USBs are perfect for those looking for something a little different to give to their customers or clients and can help to truly bring across a brand's image/identity in the most creative way possible. If you have an idea in mind, no matter how wacky or unachievable you think it might seem at first, our creative team will do all that they can to make it a reality. 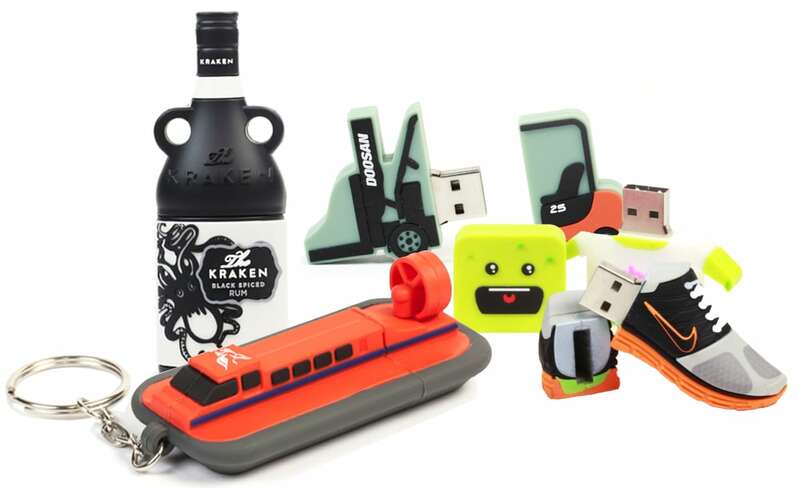 Our previous custom USB stick styles have ranged from ice-creams, bananas, elephants, guitars and even aeroplanes! Not only do we offer custom USB sticks but we can also produce custom made power banks. These promotional products make for the perfect giveaway and are slightly larger than your custom USBs allowing for a greater level of detail on designs. Please note that custom power banks usually require a slightly longer lead time to manufacture. Minimum order quantity of 250.